Dragons are notoriously unpredictable beasts. There’s only one thing that can be said with any certainty about them… if you are going to ride one, you’d better hold on tight. The good news is that this year’s dragon is easily the most civilized of the five that exist in the otherworld of the Chinese zodiac. I’m pleased to report that the dragon for 2012 has a “water” alter ego no less. Water, one of the so-called “five elements”, extinguishes the dragon’s fiery breath and dampens its natural tendency to charge about the place. This is just as well. The last thing the world’s economy needs in these parlous economic times is a Chinese dragon doing what dragons naturally do: behaving randomly. What about in its own backyard? 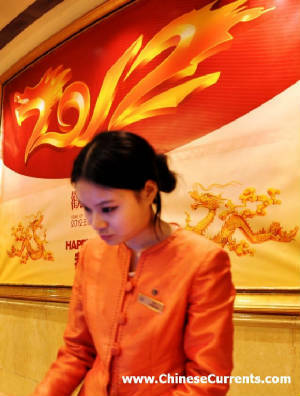 Is a dragon with a counterbalancing water element the best kind of dragon for China in 2012? And, most worrisome of all, is the spectre of inflation that is stalking the land. The official consumer price index (CPI) in 2011 was 5.4 per cent higher than the previous year’s. Although inflationary pressure has reduced overall in the past three months, it remains troublingly high in the food category, with prices officially 9.1 per cent higher in December 2011 than one year before (pork prices were up 21.3 per cent in the same period). Xinhua, China’s official news agency, reported last week that a central-government three-day central economic work conference in Beijing had described the global economic outlook as “extremely grim and complicated”. The report also warned about “unbalanced, uncoordinated and unsustainable” strains on China’s economic development. Thankfully, this rather dark economic cloud does have a silver lining. The good news for marketers generally is that, in 2011 (versus 2010), total retail sales increased by a healthy 17.1 per cent – only marginally down on the 18.4 per cent growth in 2010 (versus 2009). The even better news is that, in the month of December 2011, retail sales were 18.1 per cent higher than in December 2010. “Of course times are difficult… I have to work much harder these days than I’ve ever done… my boss owns me,” he told me with a grimace. In these tough times, people know they have no choice; they’ve just got to work harder, and they have to put up with whatever is thrown at them. They also know that a positive attitude (drive, determination, and resilience in the face of hardship) is their only hope. In other words, they just have to jump onto the Water Dragon’s back, take a deep breath, dig their spurs into its side… and hold on for dear life (The Water Dragon is, by the way, a fairly placid animal until someone tries to ride it). “Of course it’s crazy at work, I have to start before 8.30am and finish 12 hours later, and so when I get time off, I really go for it [Shopping, eating out, going to the gym…]. And when I get a long break, I jump on a plane and go somewhere I’ve always dreamed of going,” she said. I asked Ms Chen what she planned to do during the 7 day Chinese New Year break. “Go to Thailand!” she gushed. “What about your family, won’t they miss you?” I asked. “Of course not!” she replied. “I’ll be with them on New Year’s Eve [the most important family gathering], and I’ll leave the following day.” [Her boss has agreed that she can return to the office two days later than everyone else]. The more I listened to people talk about The Year of the Water Dragon, the more I realised that their coping mechanism for the strains and stresses of working at such a frenetic pace is, funnily enough, “counterbalancing”. When things are so far out of kilter, when the pressure is so intense, then there has to be an equal and opposite force applied to restore balance. I have been aware of this phenomenon for several years, but from what I have heard in the past few weeks, there’s no doubt in my mind that the pressure on people in The Year of The Water Dragon is likely to be even greater than in previous years. Therefore, in their free time, they are more likely to play that bit harder. And, when shopping, they are more likely to spend that bit more on stuff they feel they bloody well deserve. To coin a word, they need to re人ERGIZE! (The red ’n‘ is the Chinese character that depicts a person or people; it is pronounced “ren ”). In other words, they need to recharge their souls. They need to replenish what has been sapped by the strains and stresses of living up to everyone’s increasingly higher expectations of them (their boss is demanding more, their parents are expecting great things, and their partner wants to see a fast and steep improvement in their standard of living). A great way to renERGIZE is to share your experiences with “kindred spirits”. With the people who are riding the Water Dragon just as hard as you. It’s not that surprising, then, that at the end of 2011, about 250 million people (of the-then Internet population of 513 million) actually had a Weibo – a Twitter-like microblog. Also, it’s worth noting that 356 million of those 513 million “netizens” kept in touch via mobile phone Internet access. 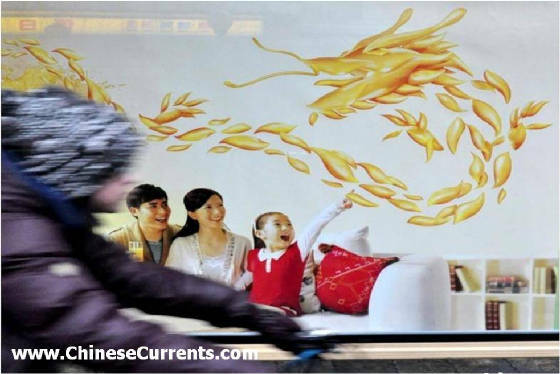 Thanks to the increasing affordability and connectivity of smart phones, the coverage and frequency of microblogging and instant messaging is set to increase even faster in The Year of The Water Dragon. With a nod in the direction of Bob Hoskins, who starred in a British Telecom TV advertising campaign in the 90s, let’s just say that “It’s good to talk”… particularly so when you need to share stories of the day’s hair-raising ride on The Water Dragon. Before, that is, moving the conversation on to the plans to re人ERGIZE at the weekend. This article was written in January 2012 when the author was chairman of Oracle Added Value (now part of Kantar Consulting), and published on Kantar's website.